Mike Rossi, the Boston Marathon-running dad whose Facebook response to his kids’ unexcused absences went viral last month, is under fire over allegations that his bona fides for entering the race might not have been on the up-and-up. Gerry Yasso, race director for the Lehigh Valley VIA Marathon where Rossi received his qualifying time in September 2014, told Philadelphia Magazine on Tuesday that he’s asked USA Track & Field for a “thorough and impartial” investigation into whether Rossi actually completed the full race and deserved the three-hour, 11-minute, 45-second (3:11:45) finishing time that qualified him to enter the Boston Marathon. In an interview with Yahoo Canada on Wednesday, Rossi refuted the claims. “The allegation against me that I did not achieve a qualifying time at Lehigh Valley is completely false,” he said. 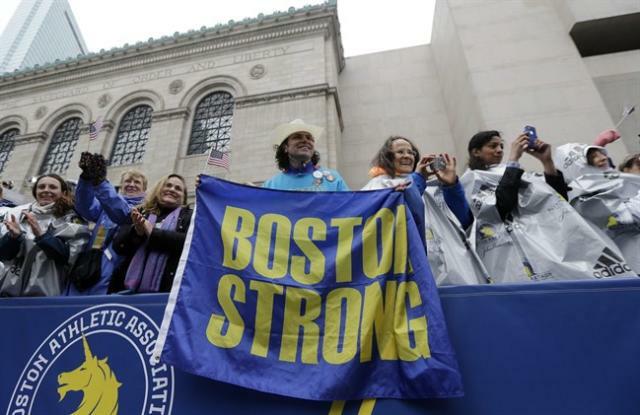 The investigation is another chapter in a strange tale that began when Rossi received a letter from his children’s principal that said “unexcused absences” would go on their records after Rossi took them to watch him run the Boston Marathon. Rossi’s response in a Facebook post went viral, and led to a division of opinions. Some called him a hero and “dad of the year”; others said he was self-aggrandizing and should have known the school’s rules. The prinicpal who sent him the letter has also been harrassed, her son said. Since the question was raised over whether he was legitimately running in the Boston Marathon in the first place, Rossi has shut down his Twitter account and made his Facebook and blog private “because of the excessive harassment and personal threats”. The allegations, first raised in forums at Runner’s World and Letsrun.com, focus on two areas: a lack of photographic evidence of Rossi’s participation in the race, and his prior race history. Yahoo Canada examined the photos from the race; other than four photos taken at the finish line, we could find no evidence of Rossi at any point in the race. Specifically, we examined a photo checkpoint that race founder and course designer Bart Yasso estimated to be near the 21-mile (33-kilometre) mark. Of the 95 runners whose finishing time fell between 3:00:00 and 3:15:00, only Rossi and two others didn’t appear in photos at that checkpoint; the other two were identified at another checkpoint later in the race; Rossi did not appear at that checkpoint either, or at any of the other mid-race photo checkpoints. Rossi refutes that there isn’t photographic evidence of him running the race. “I have a selfie picture of me at the start and there are photos of me at the finish and video of me finishing the race,” he said. Alan Brookes is director of the Canada Running Series, which oversees the Toronto Waterfront Marathon as well as high-profile races from Vancouver to Montreal. Brookes told Yahoo Canada that when the authenticity of a result is called into question, he relies on two confirmation methods: timing mats and photos. Timing mats are usually placed along the course to give runners split times, and to ensure they’re not cutting corners along the route (also called “cutting the course”). The Lehigh Valley course is point-to-point (a straight line from start to finish; it doesn’t go in a loop or out and back), so it doesn’t use timing mats along the course to verify times. In the absence of timing mats, Brookes said a lack of photos isn’t a good sign. “That’s a big problem,” he said. Without timing and photographic proof, Brooke said, the onus shifts to the runner to prove they legitimately finished the race. In addition to the race evidence, there’s nothing in Rossi’s running history that indicates he’s currently capable of running a marathon in 3:11:45. The McMillan Pace Calculator is considered to be reliable as an indicator of potential performance. Each of Rossi’s previous races falls well short of what the McMillan calculator would expect from a 3:11 marathoner. The McMillan calculator estimates how fast a runner can race different distances. Based on his 3:11:45 marathon, these are the times Mike Rossi should have been able to race each distance, compared to his actual personal best. Rossi said the answer to that is simple: he didn’t try very hard in any of his 20 other races. “I focused my training to peak for the LV race in order to hopefully qualify for Boston,” he said. Yahoo Canada asked if Rossi had any GPS logs of his training, or of his race at Lehigh Valley. He said yes, but declined to provide them for verification. Bart Yasso, who in addition to founding the Lehigh Valley race, is the Chief Running Officer for Runner’s World, told Yahoo Canada there’s no chance of a runner accidentally cutting the Lehigh course short by making a wrong turn or missing part of the course. “Maybe there’s a couple of sections where you could cut a minute off,” Yasso said.